When I started shearing in 2004, there were not a lot of shearers around. I got a lot of desperate calls from people begging this rather (at the time) inexperienced shearer to come out and help their animals. I can thank those farmers a thousand times over -I stuck with it, continued to train, and I love this work! Thanks to the many schools that teach this craft, there are many more shearers who work in the mid-Atlantic region now, so the shortage of shearers has abated somewhat. But each shearer has his or her own special skills and talent to be recommended, so selection of a shearer is partly personal preference. First and foremost: I love animals. I will treat your animals with care, gentleness, and expert handling. One of the main reasons I started shearing was the very rough treatment I had witnessed on other farms – I wanted to offer a humane and thoughtful option to flock owners. Hard to believe, but I have heard some shearers comment that they don’t really like the animals they are shearing. Second: I am experienced. 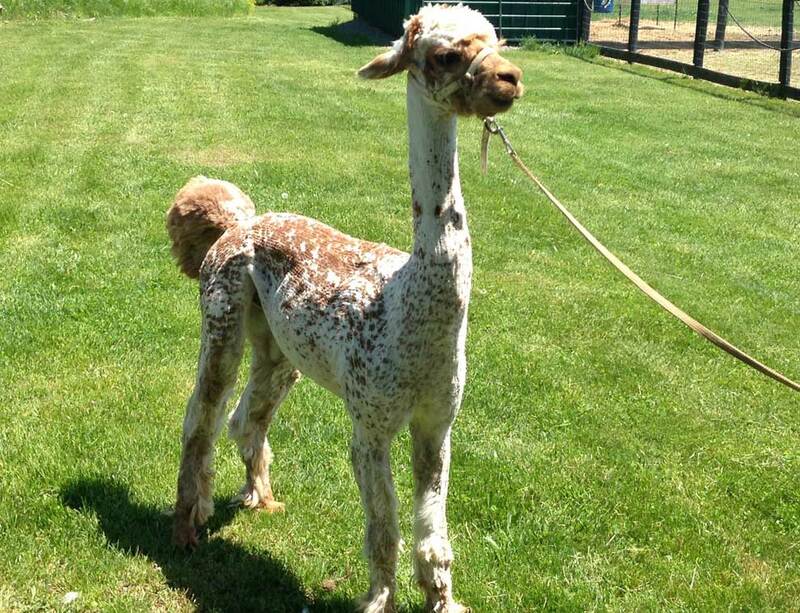 I have been shearing sheep for 12 years, goats for 11, and alpacas and llamas for 10 years. I have my own flock of sheep, goats, llamas, equines, cattle, and fowl, and so work with animals on a daily basis. Third: I care about your fiber. I am an avid spinner, and hand-process a lot of my own fiber, so I know the importance of careful handling of fiber during the shearing process. Fourth: I am trained. I have attended numerous courses on shearing: the Maryland/Delaware sheep shearing school, the Light Livestock alpaca shearing school, Matt Best’s advanced alpaca shearing seminar at Magical Farms, Jay Mariacher’s advanced alpaca shearing seminar at Grindstone Ridge Farm, the South Dakota Sheep Shearing school, and have also taken a masterclass with New Zealand shearer John Bradfield. I try to attend at least one new course a year and have other shearers critique my shearing skills as well. Shearing is a craft that one must always work at refining. Fifth: I am local. I work in five states (Maryland, Virginia, West Virginia, Pennsylvania, and Delaware), all within about a 150 mile radius of my home town Boyds, Maryland. There is no farm more than half a day’s drive away. If you need help mid-season, want assistance with herd health on a regular basis, or just want a check-in during the winter, I am more than glad to come out. I can offer you a more flexible time-frame for your shearing needs, as well, because I stay in the mid-Atlantic area all throughout the season. Sixth: I am full time. I am not a part-time, “hobby” shearer. I shear six days a week starting in late March and running through mid-summer. Most shearers hold “Winter jobs”. I do, too. I run two other businesses: a web development business and a farm services/barn cleaning business , both of which go into bare-bones operation mode all throughout shearing season so that I can give my full attention to your animals. Seventh: It’s not “just a job”. I regard shearing as a service, and an essential component to animal welfare. I am proud to be able to offer this skill to the animal community. Eighth: I am patient and will be glad to answer your questions, especially if you are a new shepherd. I also find that I always learn a great deal from other farmers, so the dialogue is very important.